Parks Winter 2011 Newsletter – Read it Now! 1. Read about the new Hawk Island Snow Park. 2. Details about the rhino exhibit and tiger cubs at Potter Park Zoo. 3. 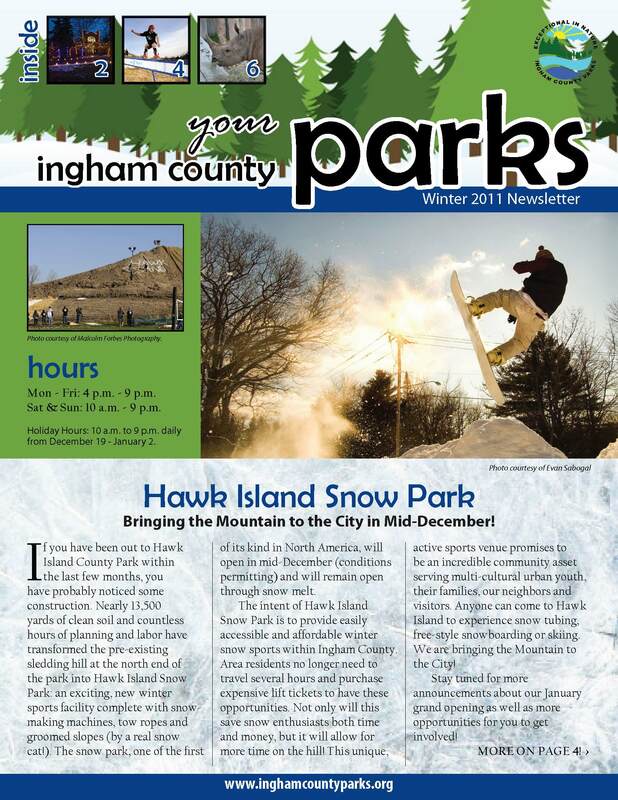 A run-down of winter activities available at your Ingham County Parks.